Welcome to the Garnanäs Fishing Camp in Scandinavia’s southernmost archipelago. The water world among these islands and skerries is known for its large pike, but as well for perch, cod, ocean trout and other fish. You can live in our high standard cabins or flats only 200 metres from the Baltic Sea. Fishing is done from our safe, secure boats powered by 4-stroke motors. In 2011 we built a pike ‘factory’ in the form of a wetland to secure the growth of our pike stock. 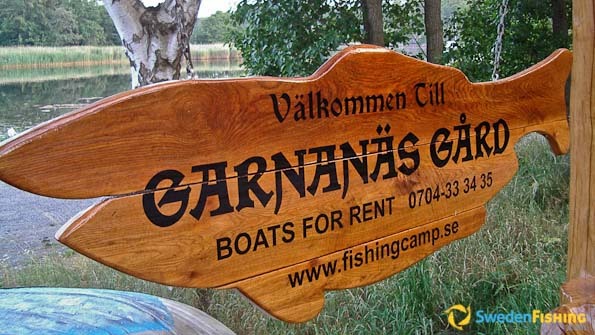 At Garnanäs Fishing Camp we speak Swedish, English and German. We are open all year, but February-May and September-December are the best pike fishing seasons. Still the pike bite in the summer as well. Our boats are always ready for fishing and in the autumn/winter season their docking site is roofed. Eriksberg Nature Reserve, Ronneby Brunnspark Spa, Tjärö. Räntemåla Älgpark with moose safaris. The Garnanäs Fishing Camp is located in mid-Blekinge between Karlshamn and Ronneby. The nearest village is Bräkne-Hoby where there are restaurants, stores, a care centre, supermarket and train station. At Garnanäs you can fish for pike, perch, ocean trout and cod. Our archipelago is known for the large size of its pike with many weighing in at 10 kg. The records were set in April, 2011, at 13.8 kg and in May, at 10.8. The Garnanäs Fishing Camp has 15 modern boats for hire: Eight 4.40 m with 4 hp Tohatsu motors; five 4.80 m Hanö with 9.8 hp Tohatsu motors; one 5.5 m with a 15 hp motor; and one 4.8 m with a steering pulpit and a 20 hp motor. All boats can be fitted with en electric motor. The boats are fitted with anchor, life jacket, bailer, oars and sea charts with fishing sites marked. At Garnanäs the usual fishing method is jerk bait, but wobblers are also used. We fish mostly in shallow water over weed beds and near reeds. Interest in fly-fishing for pike has increased in the most recent years and is a very effective method, especially when the water is cool. 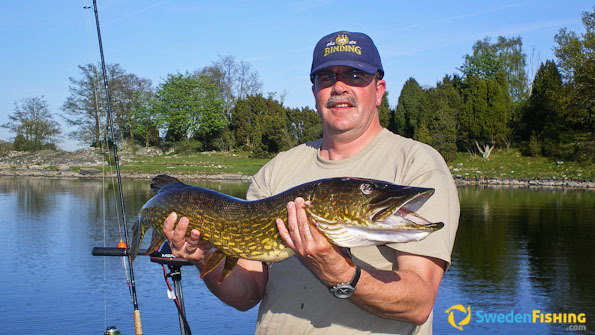 The Garnanäs Fishing Camp is a catch & release camp and all pike must be released. Blekinge Province rules: smallest 40 cm, largest 75 cm, max 3 fish/day. 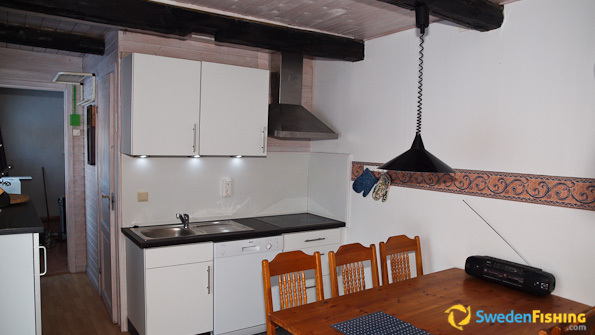 We offer modern self-catering flats and cabins ranging from 25 to 65 m2. All are fully equipped with stove, oven, microwave oven, water cooker, coffee maker, cooking and eating for 4-6 persons, TV and shower/WC. The flats also have their own patio with outdoor furniture and grill. All residences lie about 200 metres from the Baltic Sea. The camp has its own dock and launching ramp. Distances and driving times from some major cities and airports; 170 km from Malmö Öresund Bridge, 170 km from the Trelleborg ferry terminal, 50 km from the Karlskrona ferry terminal, 2.5 hours by train from Kastrup Copenhagen, 20 min transport from Ronneby Airport, 45 min by air from Stockholm, 4.5 hrs by car from northern Germany, Puttgarden.